Dr Sophie Rushbrook is a Consultant Clinical Psychologist who is the Head of the Intensive Psychological Therapy Service in Dorset. This is a tertiary service for adults with severe and complex difficulties in the community. The majority of patients have histories of chronic trauma, abuse and/or neglect and reach diagnosis for an average of 3 Personality Disorders. This service has been nominated for Beacon status in the UK, and it is one of the leading centres for PD in the country. 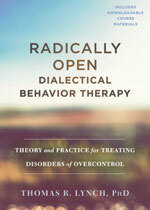 She is trained to adherence in standard Dialectical Behaviour Therapy, Radically Open Dialectical Behaviour Therapy and Cognitive Analytic Therapy. She is also trained in Acceptance and Commitment Therapy, Compassion Focussed Therapy, Eye Movement Desensitisation Reprocessing and Prolonged Exposure -DBT. 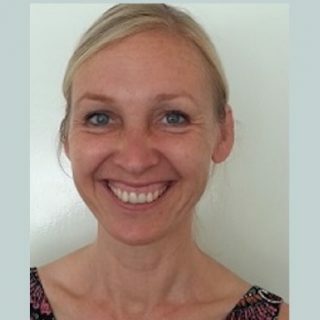 Dr Sophie Rushbrook was one of the first clinicians to be endorsed as a supervisor and has been supervising RO-DBT therapists since 2015. She is a senior trainer of RO-DBT and has delivered a number of intensive trainings with Professor Tom Lynch. Dr Rushbrook is a Consultant Clinical Psychologist and a member of the British Psychological Society. She is an accredited practitioner with the Association of Cognitive Analytic therapy and registered with the Health Professions Council. Contact: please contact Sophie directly to arrange supervision via sophiecrushbrook@gmail.com. Please note: Sophie supervises worldwide – she will work with you to find a suitable time that works across time zones.